Now, now - I don't want the rest of you being sad for the rest of the day. 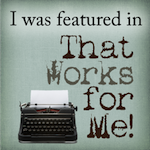 The least I can do is share several giveaways around the blogosphere! Go and enter! This is not a comprehensive list by any means! If you know of a great giveaway that I didn't mention or are having one, leave the info in the comments! ~ Blessed Beyond Imagination: My friend Kathy is having a giveaway for the cutest measuring cups EVER SEEN!! You can go look, but no need to enter 'cause I really want to win these - LOL! ~ 5 Minutes For Mom: They are having a 10 Days of Disney Video Tour and giving away 10 gift bags full of stuff - worth over $200 each! Wow! ~ Keeping The Kingdom First: My friend Alyssa is giving away a Lunch Builder Prize Package - not only does it include an ipod Shuffle, but it also includes a $65 Walmart gift card! I'm sure you could find a use for that! ~ Reviewsings (Musings of a Housewife): Jo-Lynne has a great package of Sun & Earth natural cleaning products to give away! You get 4 different products (along with 1 refill) to try! ~ The Inspired Room: Melissa has so much lovely Fall stuff, including several examples of using gilded items for decoration. She actually has a gilding kit to give away! Now you can try it out! ~ Frugal Creativity: Melissa often has giveaways and this is a very cool one! It's for a PUR Flavor Options Pitcher! Not only does it filter the water, it gives you the option to add flavor to your glass of water - too cool! ~ Really Working From Home: Marilee is celebrating the Grand Opening of her site with LOTS of items to giveaway! I'm sure you'll find something you like! ~ Frugal Plus: My new friend Jill along with Shawn Ann have lots of giveaways regularly. Just stop by and look at the top of the right side bar. All the giveaways are listed right there for you! There are currently 11 - wow! See all the fun you can have?! Again, these are only a few of the giveaways out there that I happened across while hopping around. Feel free to let us all know about more! Have a fabulous day and be sure to stop back here tomorrow for Chocolate Friday! 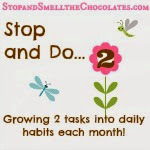 Bring your old or new chocolate posts with you so you can link them up and share the chocolate! Big if I enter enough giveaways I'm bound to win one sooner or later size hugs to you! Congrats to Nancye! Looks like a great prize! Love all the giveaways. I'll have to go check them out. Thanks so much for the mention!! :-) I appreciate it...and love your blog! Congrats Nancye!! 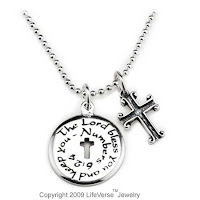 What a Awesome Necklace! Thanks for the shout out! I luv stopping by your blog daily and checking out what you have posted! 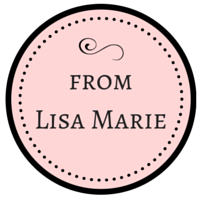 Great list Lisa, thank you!